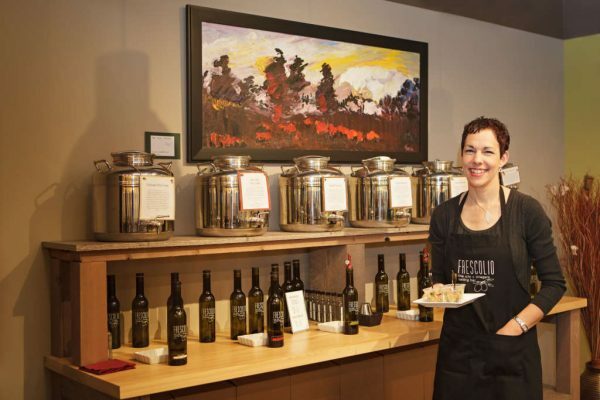 At Frescolio Fine Oils + Vinegars, we respect your privacy and will do everything we can to protect your personal information. We will never sell or share any of the information you provide to us with any other parties. Frescolio will use your contact information to contact you to notify you when your order has been received and when it has been processed and shipped. For customers in Winnipeg, you may also select the “Local Pickup” option to pick up your order in store. Our staff will contact you when your order is ready. Frescolio does not store your credit card information on our servers. Your credit card information will only be stored for the duration of your session and checkout procedure. For Paypal Credit Card processing – All credit card information is securely passed to the Paypal payments credit card processing technology. Frescolio does not store credit card information. The entire checkout process is secured. You can see proof of this when you get to the checkout page: your browser should indicate to you that you are on a secure page. If you would prefer to submit an order over the phone (as opposed to online), please email your contact information to freshoil@frescolio.ca and we will contact you take your order.